I love music, whether it be based around the human voice or instruments. As a youth, I bought more instrumental music than vocal. It's a pity that music based on instruments isn't more popular today. Some songs incorporate an instrumental part within which I like. Music with voice doesn't work as well if you are chatting with friends. Instruments blend in well in a social setting, provided it isn't too heavy. I got to thinking about great albums as Michael Jackson's recent death had many waxing lyrically about how good he was. I personally viewed him as an entertainer first and a singer second. I didn't care much for his music and thought him massively overrated. Of course, we all have our opinions as taste is individual. Looking at the "The RS 500 Greatest Albums of All Time", three of the top five were Beatles efforts which is understandable, considering the talent the 'Fab Four' had. But overall, such lists are irrelevant. Every country would have a different list. 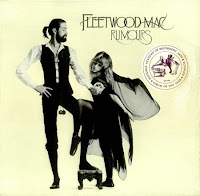 A couple of albums I enjoyed owning were 1) Rumours (Fleetwood Mac), 25th on the above list and 11th best seller of all time with 40m sales. 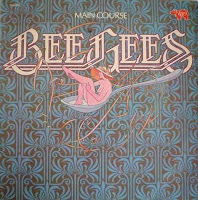 2) Bee Gees and Main Course. I don't know how many it sold but that doesn't matter as I enjoyed it. Few albums are full of good songs but above two were.